James Garfield served as President from March 4 through September 19, 1881, the second shortest tenure of any person to hold the office. Garfield’s assassination was tragic, although the most tragic part was not the violence perpetrated by Charles Guiteau, but rather by the the incompetent medical care that Garfield received from a group of doctors who refused to adopt some of the most basic medical principles that we take for granted today. Because Garfield’s presidency was so short and he spent much of it (80 days) dying from his bullet wound, this biography of Garfield was given to Ira Rutkow, a surgeon who has written numerous books on medical history. Garfield’s biography is intriguing, although if reading about gruesome medical conditions is not your thing, you may wish to pass this book by. Rutkow does discuss Garfield’s rise from his humble beginnings in Ohio (he was the last president to be born in a log cabin) to the White House. And Garfield was undoubtedly a brilliant man, although politically, his greatest gift was giving good speeches. He was not an especially inspiring leader, but he was respected. While serving in the House, Garfield aligned himself with the Radical Republicans and he even came out against the reelection of Abraham Lincoln. But he built a reputation as a thoughtful and well-read Representative and someone to watch out for in the future. 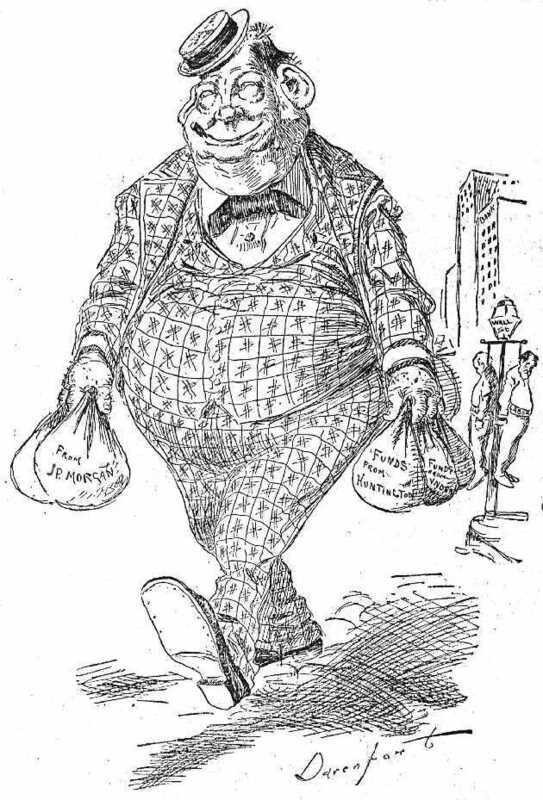 And like so many politicians of the era, Garfield was touched by scandals, including the Credit Mobilier scandal (it’s another one of those events you hoped your teacher didn’t put on the midterm) and also for receiving excessive fees for serving as a lobbyist for a company. But compared to what was going in the Grant Administration, Garfield looked pretty clean. In 1880, the Republican Party, which barely held on to the White House in 1876 thanks to some last-minute Electoral College chicanery (the Democrats were equally guilty of chicanery. It was a very chicanerous time. ), was divided into two factions: the Stalwarts who wanted to bring back Ulysses Grant for a third term. This faction was led by New York Senator Roscoe Conkling. The Stalwarts liked the spoils system and political appointments for cronies all around. The other faction was called the Half-Breeds and they were led by James Blaine, who had been Speaker of the House. This group tended to be a bit more conciliatory toward the South and wanted some civil service reform. The Half-Breeds had two candidates: Blaine and Ohio Senator John “my older brother burned down Georgia” Sherman. Three strong candidates at a political convention lends itself well to a deadlock and one quickly developed. Garfield, who was hoping for such a deadlock, ended up being the compromise choice and he prevailed in the general election over Democrat Winfield Scott Hancock (another Union General) by margin of about 7,000 votes (Rutkow uses a figure of 2,000). The Electoral Vote wasn’t as close with Garfield winning 214-155. Upon election, nothing went well for Garfield. 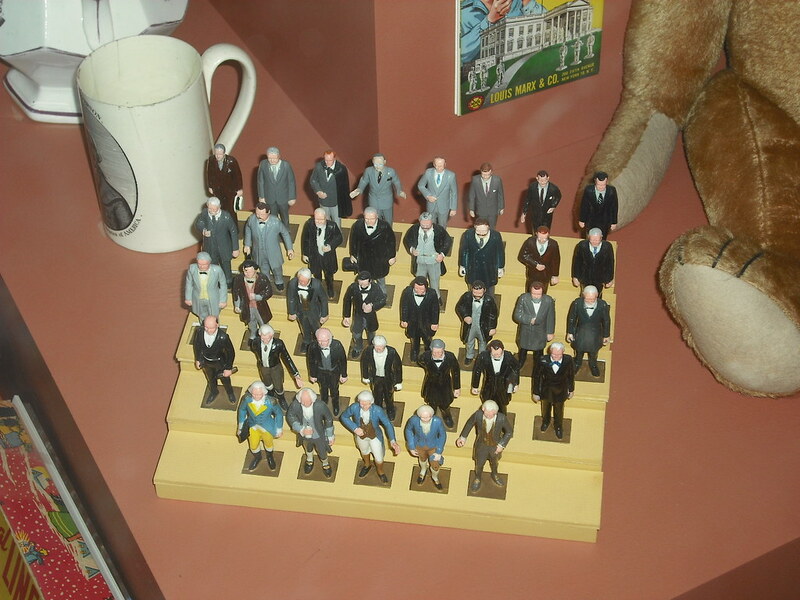 Conkling demanded that his faction of the party be represented in Garfield’s Cabinet, even though the Vice-President, Chester Arthur, was a Conkling crony. Garfield ended up piecing together a Cabinet that no one liked. 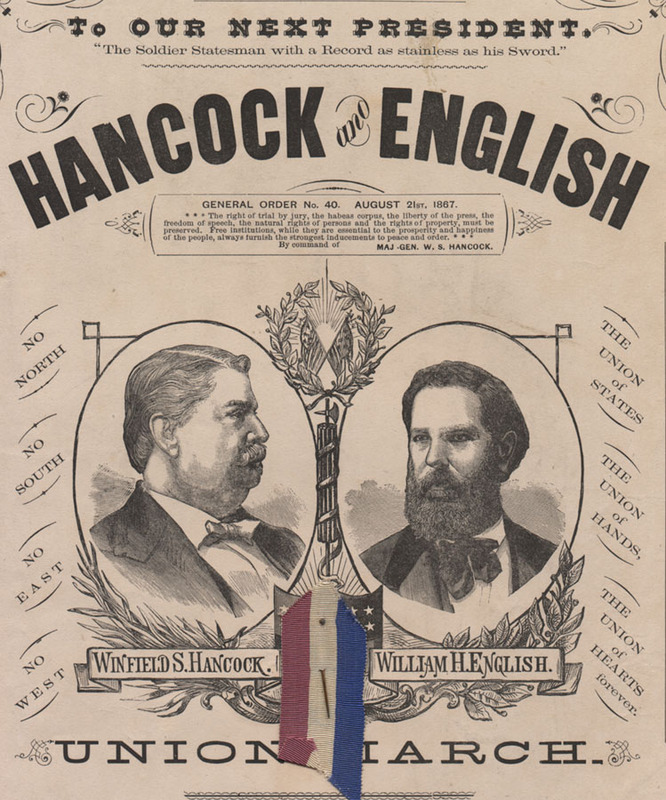 After his inauguration, Garfield soon discovered that his campaign manager was involved in a scandal where he took exorbitant fees to deliver mail to rural areas through companies he controlled. But the mail never got delivered in those areas. The biggest headache for Garfield came when he tried to appoint someone to the lucrative position of Customs Collector for the Port of New York who was not acceptable to Conkling, who tried to block the move with some parliamentary tricks. Conkling’s effort failed and, out of spite or pique, Conkling resigned his Senate seat (as did New York’s other Senator, Thomas “Me Too” Platt) hoping to be reelected to the Senate by the New York legislature. The New York legislature chose two other people. So Conkling was out of the picture and life seemed better for James Garfield as he was heading to catch a train to his alma mater of Williams College and a vacation with his wife in New Englad. Enter Charles Guiteau. Guiteau was a man with many psychiatric problems (this amateur psychiatrist thinks he was schizophrenic) and he was disappointed that Garfield and his new Secretary of State, Blaine, had not appointed him to be a U.S. consul in either Vienna or Paris. People in Washington knew Guiteau as “that crazy guy who keeps asking for a job.” But they didn’t know that he wasn’t harmless. He had a gun and he fired twice into Garfield’s back. The first medical officer to examine Garfield stuck his unsterilized finger into the wound to look for the bullet, but couldn’t find it. (Rutkow speculates that the first person examining Garfield may have had manure on his hands.) Then another doctor came in and he tried to find the bullet with his finger. Then he took a metal probe and stuck it inside Garfield’s bullet wound and poked around, but didn’t find the bullet. However, it was assumed that the bullet hit Garfield’s liver. It hadn’t. Garfield was taken back to the White House where the doctor who took over the case, a man who was literally a doctor in name only. The man’s name was Doctor William Bliss. Was he Dr. Doctor William Bliss? Who knows for sure? It didn’t take much in 1881 to call yourself “Doctor” as licensing of physicians hadn’t started, but Doctor was the man’s given name. Bliss wasn’t even the Garfield family physician. They frequented a homeopathic doctor in Washington. Bliss never could figure out that Garfield kept suffering from high fevers, extreme nausea, and a rapid heart rate because he had developed massive infections from his wound being continually poked and prodded at with unsterilized instruments. Garfield spent the last 80 days of his life in misery and agony that would have been easily preventable today and could have been prevented back in 1881 if Bliss hadn’t held on to his belief that antiseptic practices were just a fad. Alexander Graham Bell was even brought in to help out and that was pretty much a disaster. Rutkow’s description of Garfield’s care can be quite harrowing to read. It’s also remarkable to find out how much medical science has changed in the past 128 years. Rutkow compares the treatment that Ronald Reagan received in 1981 to the treatment that Garfield received 100 years later earlier. Garfield’s wound would have been treated fairly simply in 1981 and he likely would have been out of the hospital in a day or two. Reagan’s injuries in 1881 likely would have killed him within a day if Bliss had taken over the case (mostly because Bliss wouldn’t have bothered to check on Reagan’s respiration or blood pressure.) Guiteau’s bullet did not hit any of Garfield’s vital organs nor did it cause any spinal cord damage. Bliss would later publish articles on his treatment of Garfield in an attempt to rehabilitate his reputation. Here is an example of one such document, but I don’t suggest clicking that link until you’re sure you aren’t going to eat for a while. James Garfield didn’t want to leave a legacy of dying at a young age (49) from medical malpractice, but that’s what history remembers him for. But at least he helped get doctors to wash their hands and sterilize their instruments. Notes: James Garfield’s home, dubbed Lawnfield by reporters during the 1880 campaign, is run by the National Park Service as the James A. Garfield National Historic Site. It is located in Mentor, Ohio. Garfield was the first president whose mother watched his inauguration. Garfield’s widow, Lucretia, moved to Pasadena, California for the winters after her husband’s death and passed away in 1918, although she is buried alongside her husband in a cemetery in Cleveland.